Imagine the Vatican Museums at their most atmospheric. As an official tour partner, we‘ll take you there in the evening, without the crowds, and help you navigate the myriad corridors and courtyards with our expert guide and itinerary. Explore the the Vatican Museums in a new way when you visit after closing time on our Vatican night tours. For a limited time each year, the Vatican Museums open late to the public, which allows us to roam its corridors and admire artworks like the Sistine Chapel frescoes at our own pace with small crowds. Enter using our pre-reserved no line entrance and see the museums as few have ever had the opportunity to see them before. Experience the Sistine Chapel in the intimacy of the evening accompanied by an expert guide with perfect English. Our guests will also be able to admire the upper galleries of the Vatican Museums including the Gallery of the Tapestries and Candelabra, as well as the Hall of the Maps, the Octagonal Court, and Raphael’s Rooms. We take a unique route through the Vatican Museums. Enjoy the outdoor areas of the Vatican such as the Pinecone Courtyard and view the dome of St. Peter’s Basilica from an open patio overlooking the Vatican Gardens. 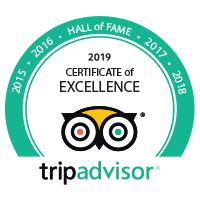 Next, your guide will take you through long hallways filled with ancient Greek and Roman sculptures, while they regale you with the scandalous details of life in Ancient Rome and the men who commissioned these priceless works. Next, our journey takes us to the Gallery of Maps where you’ll see how much the modern view of the world has changed, and the Gallery of the Tapestries for stunning needlepoint masterpieces. Hear the history of the Vatican, the Popes, and artists, all of whom live and worked here. A repeated name in our stories will be Raphael, who frescoed four rooms in the Vatican and are a highlight of our Vatican night tours. Your guide will show you how Raphael honoured the masters of his time, by painting Michelangelo and da Vinci into his famous ‘School of Athens’. We wouldn’t let you leave the Vatican without seeing the main attraction: the Sistine Chapel. By the time you visit the Sistine Chapel your guide will have taught you all about the frescoes you’ll find there. You’ll know how to locate Michelangelo’s self-portrait and how to spot portraits of his enemies among the heathen, creating a memorable experience on this tour. Groups are limited to just 20 people and the price is all-inclusive of the tour, tickets and reservation fees. This tour is 2.5 hours long, but we see all sites visited on our 3 hour group tour during the day -- without the daytime crowds our passage around the museums is just that much faster! Bookings are open for only limited nights, every Friday in May, June, July, September, and October with limited tickets. The Sistine Chapel may be subject to unscheduled closures for religious ceremonies. When this occurs, we will provide guests with an extended tour of the Vatican Museums, or appropriate alternative. While we undertake to tell guests beforehand if there are any planned disruptions, this is not always possible. In these cases, we are unable to provide refunds or discounts. Please note that appropriate dress is required for entry into some sites on this tour. Knees, shoulders and backs must be covered. Due to increased security measures at many attractions some lines may form on tours with 'Skip the Line' access. The tours meet at a location very close and convenient to the entrance of the Vatican Museums. Full details of the exact location are included on the confirmation voucher you will receive when you book your tour. At the end of the tour, will I be able to explore the Vatican Museums on my own? No. With our tickets, it is not possible to re-enter the Vatican once you leave as the Vatican tickets are single entry only.